Timber. 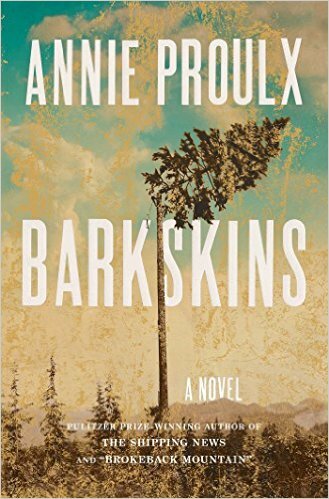 Just in time for summer, readers can spend weeks relaxing with over 700 pages of Annie Proulx’s finely written prose in her novel titled, Barkskins. We’ve come to look to Proulx for insight into our complicated relationship with nature, and on the topic of the exploration of forests, she is prolific. Spanning three hundred years and multiple generations of two families, the novel draws readers into the destruction of forests and the radical change in culture involving these families. Because of alternating chapters on the families, I found it challenging to keep characters straight, especially because of the large number of people Proulx presents. Even with brief treatment, she presents these characters with complex nuances, and by using descriptive language so lyrically, we can experience violence and loss as a normal part of life. The forest and the trees are also characters, and their plight is a whole other matter. I never thought I would say this about a novel over 700 pages in length: I wish she had written more! If you want to do a small thing to help our forests survive, read the e-book version. Rating: Four-star (I like it) Click here to purchase Barkskins from amazon.com. Invisibility. 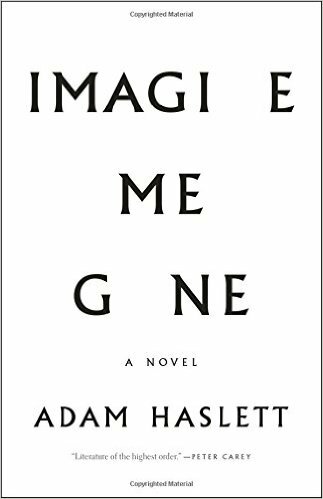 I thoroughly enjoyed reading Adam Haslett’s novel titled, Imagine Me Gone, and I am hesitant to say why. If I say the subject matter explores mental illness, you might be inclined to take a pass. If I say that the novel deals with the primacy of family love over everything else, you might be inclined to think you’ve read this story before, and often enough. If I tell you the writing is superb, you might not care. So here’s my pitch: there are five interesting narrators in this novel; mental illness is often shunted to the sidelines or ignored as long as it remains out of sight; and one of these narrators could well be someone just like you. Mental illness is present among lots of families, perhaps yours. Fine writing can lead us to insights about ourselves. This novel is finely written, packed with insights, and makes visible something well worth seeing. Rating: Five-star (I love it) Click here to purchase Imagine Me Gone from amazon.com. Theft. 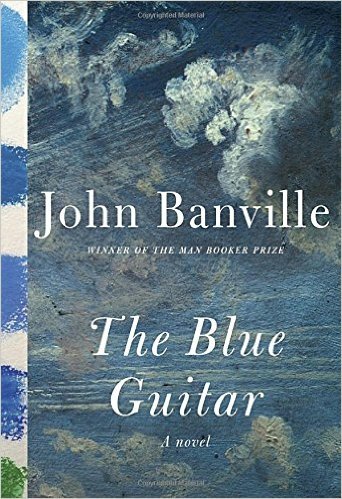 John Banville has filled his novel, The Blue Guitar, with beautifully written prose. I found myself reading several sentences multiple times to enjoy how perfectly crafted they were, and how word choices seemed perfect. Narrated by an unappealing and very introspective artist, the novel explores the creative process and the essence of art. The narrator is proud to have been a thief, and in many respects, most art involves minor theft of ideas and forms from others. Fans of finely written literary fiction are those most likely to enjoy reading this novel. Rating: Four-star (I like it) Click here to purchase The Blue Guitar from amazon.com. Journey. Ours is a period of time during which the destination reached quickly becomes more typical than the joy of a meandering journey. 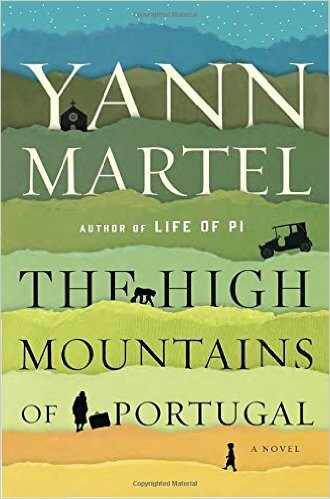 In a novel titled, The High Mountains of Portugal, suited for long TSA lines and congested traffic, Yann Martel offers ideas on our search for meaning, the importance of journey, and our relationships with other animals and with the natural world. Structured as three linked stories, the novel offers patient readers finely written prose and a very slow journey from beginning to end. Along the way there are lots of distractions and digressions, and it is in those that key ideas are discovered. Slowing down during the Summer can offer enrichment for many busy people. Consider reading this novel as part of your process of slowing down on your own journey. Rating: Four-star (I like it) Click here to purchase The High Mountains of Portugal from amazon.com. Motivation. 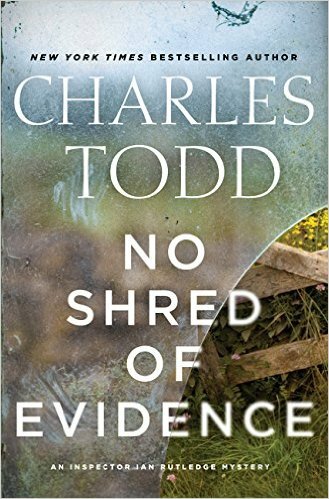 The eighteenth novel in the Inspector Ian Rutledge series by Charles Todd is titled, No Shred of Evidence. Fans of crime fiction may become impatient with the slow plot momentum. Fans of Rutledge will enjoy the ways in which he deploys his skills. Patient readers will be rewarded with a finely written police procedural that explores motivation from multiple aspects. I became so accustomed to the moderate pace that it came as a surprise when all the pieces came together. Rating: Four-star (I like it) Click here to purchase No Shred of Evidence from amazon.com. Mannequins. What good is having money if you can’t buy your way out of disease and death? 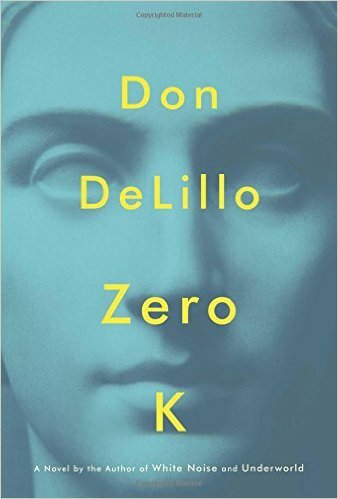 In his novel titled, Zero K, Don DeLillo invites readers to enjoy his musings about life, death and identity. Jeffrey Lockhart narrates the surreal and uncomfortable situation in which he finds himself. His billionaire father, Ross, has supported a cryogenic facility. Ross’ young wife, Artis, is in poor health, and she has chosen to have her body preserved for some future time when she might be healed. Ross invites Jeffrey to come to the facility for Artis’ farewell. Through Jeffrey’s eyes we see the things that we do for love, and how the cryogenic process has turned humans into what appear to be mannequins. All this calls into question what identity is, and what life and death are for. There’s satire here, humor for those who see it, and deep questions about technology and humanity. Consider taking a summer vacation into Don DeLillo’s world and discover the ways in which it is the same and different from yours. Rating: Five-star (I love it) Click here to purchase Zero K from amazon.com. Control. 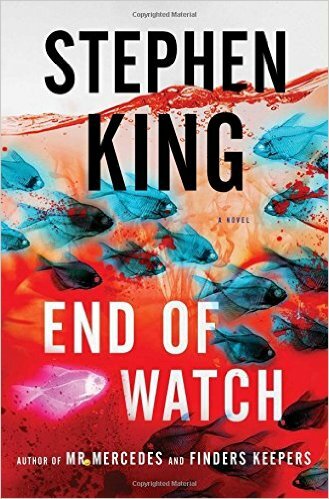 Stephen King needed fewer than 450 pages in the novel, End of Watch, to bring the Bill Hodges series to a very satisfying conclusion. Most readers who enjoyed the first two installments will be pleased with the finale. The Mercedes killer, Brady Hartsfield, has found a clever way to control the behavior of others. The familiar cast of characters from the earlier novels returns, and King uses great dialogue to draw readers into their lives. Hodges finds himself in declining health, and his business partner, Holly Gibney, uses her many skills to help him stop Hartsfield from carrying out his evil plans. Fans of King appreciate the thrilling plot, the quirky twists, the humor and the joy of reading a well-told story, all of which can be found in this novel. Rating: Five-star (I love it) Click here to purchase End of Watch from amazon.com. Revelations. Self-deprecation can be rare in memoirs, and it is that humorous laughing at oneself that Augusten Burroughs masters so well. His latest memoir is titled, Lust & Wonder, and his great writing presents gobs of details about a dysfunctional life. 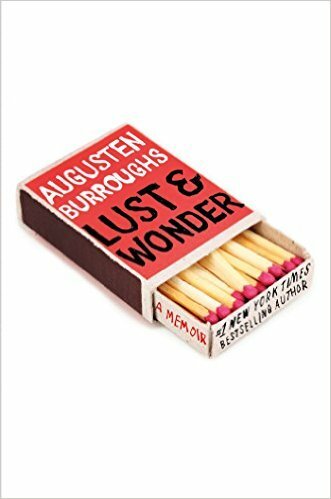 Burroughs offers such broad emotional and psychological revelation that any neurotic reader will appreciate that there is someone else in the world who is even more disturbed. From that wounded state comes fine writing that seems brutally honest and so self-reflective that one could assume that Burroughs has never had a thought that he has not written about. Readers who can laugh at themselves are those most likely to enjoy reading this book. Rating: Four-star (I like it) Click here to purchase Lust & Wonder from amazon.com. Survival. Apocalyptic fiction takes many forms: some are packed with despair, while others offer hope. 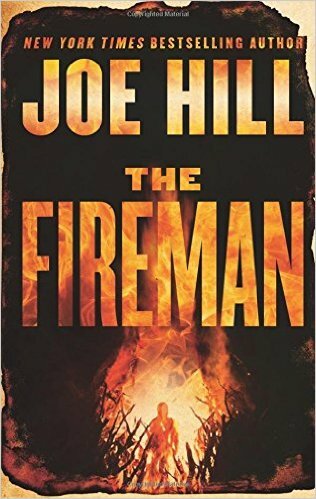 In the capable hands of Joe Hill, in a novel titled, The Fireman, a deadly spore spreads a disease called Dragonscale across the world. Black and gold marks cover one’s body, and many people burst in flames leading to fires and chaos. Hill draws us into the story with characters we care about. His apocalyptic fiction leans away from despair and toward hope. Before long, we forget about the pandemic and root for the survival of a ragtag crew of characters who have found a way to accommodate the spore in their lives and avoid combustion. Hill treats us to a story of sacrifice, redemption and love, while maintaining fast plot momentum and multiple climactic scenes. As after any major catastrophe, there are plenty of bad players to go around, and Hill presents them with clarity. This huge novel is perfect summer reading for those readers who enjoy a well-told story, packed with action and interesting characters. Rating: Five-star (I love it) Click here to purchase The Fireman from amazon.com. Humanity. We are each tested by the turmoil of life. Sometimes the tests are life threatening. Sometimes we can despair at our human condition. 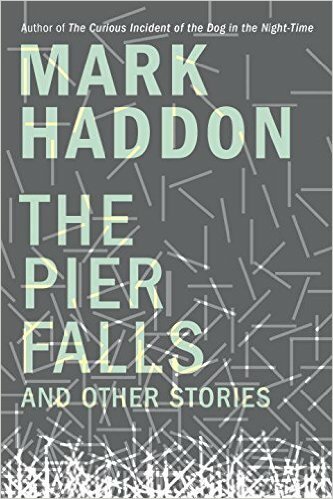 Mark Haddon explores those extremes and our survival in nine finely written short stories assembled in a collection titled after one of them, The Pier Falls. Haddon captures emotional intensity with great skill in these stories. Readers who like finely written prose and the efficiency of the short story genre are those most likely to enjoy these stories. Rating: Four-star (I like it) Click here to purchase The Pier Falls from amazon.com. Resistance. 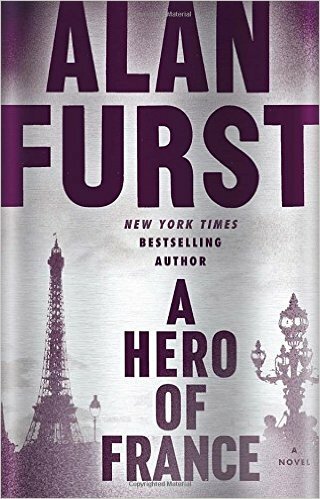 Most readers can consume Alan Furst’s novel, A Hero of France, on a single flight or two, or during a day at the beach. During that time, a reader is transported to France during World War II and into the actions of members of the French Resistance. Furst’s prose uses just the right amount of descriptive language to make a place come alive for readers, and enough character development to achieve the satisfaction of reading about complex and nuanced characters, just like us. Rating: Four-star (I like it) Click here to purchase A Hero of France from amazon.com. Puzzle. 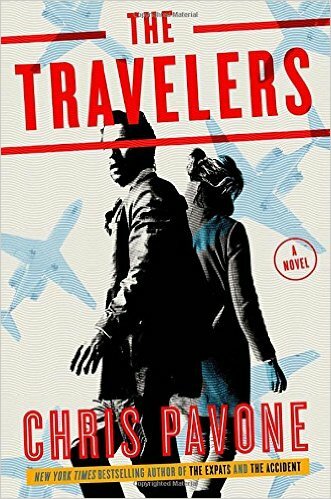 Readers can stamp one’s fictional passport with lots of entry and exit stamps during the course of almost 450 pages of Chris Pavone’s novel titled, The Travelers. Despite a fast-paced globetrotting plot, Pavone requires readers to assemble puzzle pieces while enjoying the thrilling exposition. Along the way readers need to tolerate an unsympathetic protagonist and struggle against a tendency to not care what happens to him. Despite those challenges, I enjoyed this novel, and my different guesses at figuring out what was going on. Rating: Four-star (I like it) Click here to purchase The Travelers from amazon.com. Exploitation. Certain nonfiction writers, especially journalists, know how to tell a story. New York Times writer Dan Barry is one writer who excels at drawing readers into a story, and allowing the reader to draw one’s own conclusions. 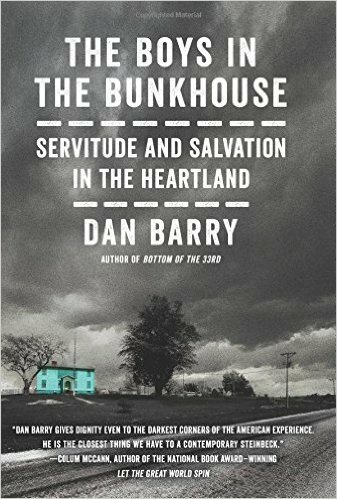 In his finely written book titled, The Boys in the Bunkhouse: Servitude and Salvation in the Heartland, Barry relates the life stories of a group of intellectually challenged individuals who were exploited by an employer for decades. A lesser writer might have presented the exploitation as evil, but Barry presents the exploiters as complete characters, with intentions and behaviors that were the usual mix of self-centeredness and helping others. This is a sad story that Barry tells with compassion and insight. Rating: Four-star (I like it) Click here to purchase The Boys in the Bunkhouse from amazon.com. Secrets. 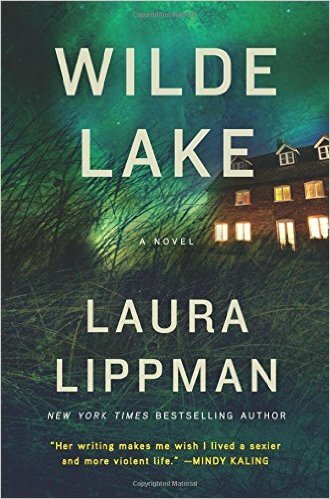 Fans of Laura Lippman’s novels will find familiar qualities in her book titled, Wilde Lake. First, Lippman captures a vivid sense of place, and in this novel Columbia, Maryland is rendered with great skill. Second, the characters are always compelling in a Lippman novel, and this novel is no exception. We care about them, and come to understand them in all of their complexity. Third, we can count on Lippman to structure a plot that will maintain our interest from beginning to end. She does that in this novel with great skill. There are secrets at the core of this story, and by the time those secrets are revealed, we know the place, we care about the characters, and we appreciate what the revelation of the secrets will entail. If these are qualities that you like to see in a novel, consider reading this book. Rating: Four-star (I like it) Click here to purchase Wilde Lake from amazon.com. Belief. 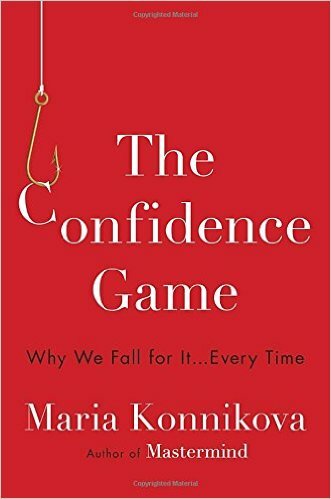 Our brains are hardwired toward belief, and that’s one reason why we are all susceptible to being conned, according to Maria Konnikova in her book titled, The Confidence Game: Why We Fall for It . . . Every Time. We’ve all been conned, and some of us may not know it. Readers who enjoy evidence-based nonfiction are those most likely to enjoy reading this interesting and entertaining book. I found it interesting to read that most con games have more to do with power than with money. Con artists understand human nature and behavior very well, and they find ways in which to encourage us to do what we most want to do. Rating: Four-star (I like it) Click here to purchase The Confidence Game from amazon.com. Wounds. Richard Russo’s prose has always been a pleasure to read. 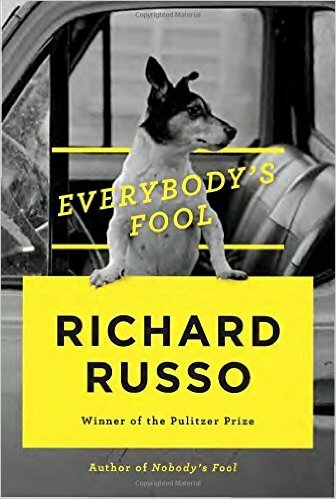 He sets his novel titled, Everybody’s Fool, in North Bath, New York, where he introduced some of these characters in his 1993 novel, Nobody’s Fool. In addition to getting plot, dialogue and descriptive language so right, Russo does something in this novel that delighted me. He exudes love for these characters in ways that drew me to love them almost as much. During the course of the story, almost every character experiences wounds of one sort or another, even the dog. It is from these wounds that all of Russo’s wisdom flows, and through which this novel discloses so much of what we and the author know is true about life. Whatever your own wounds may be, take a holiday in North Bath with Russo this summer, and find some healing and pleasure. Rating: Five-star (I love it) Click here to purchase Everybody’s Fool from amazon.com. Home. 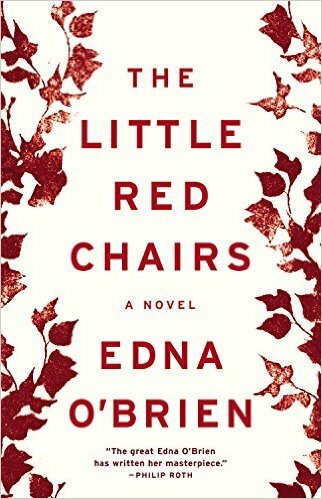 Edna O’Brien is up to nothing but good in her novel titled, The Little Red Chairs. Set in the small Irish town of Cloonoila, protagonist Fidelma McBride’s life becomes disrupted after the arrival of a stranger, Dr. Vladimir Dragan. Dragan turns out to be a person quite different from the one he appears to be. Out of Fidelma’s longing comes trauma. From Dragan’s violence comes justice. From her pain comes a search for redemption. O’Brien’s prose is lyrical. Her characters are complex and fully developed. Her insight into human nature is complete and unfaltering in both darkness and light. Fidelma’s longing for home may break your heart. This novel is great writing from a great writer. Rating: Five-star (I love it) Click here to purchase The Little Red Chairs from amazon.com. Smitten. 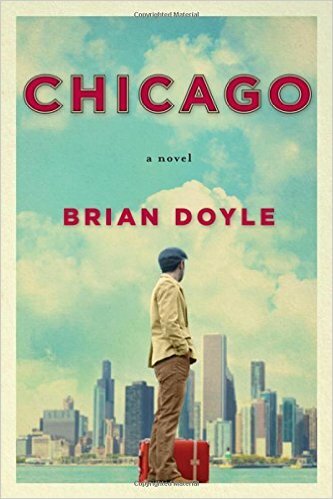 Brian Doyle was smitten by Chicago, and the love song he writes from that besotted state is novel titled appropriately, Chicago. An unnamed protagonist moves into a north side apartment after college and works at a job he likes. He walks around the city and shares the sights, sounds and people of this place. I liked the ways in which Doyle drew readers into what it takes to build and maintain a community. While the love song is to the city at large, the core of the novel is the story of the people in one apartment building, whose lives separately and as a community provide a paradigm for us all. One of the loving characters is Edward the dog, as complete a character as any of the humans, and even more complex than many. If you like Chicago, or if you like dogs, and if you have a thing about community, chances are you will love reading this novel. Rating: Four-star (I like it) Click here to purchase Chicago from amazon.com. Heredity. I find that science writing for general audiences can be too dumbed down or just downright boring. 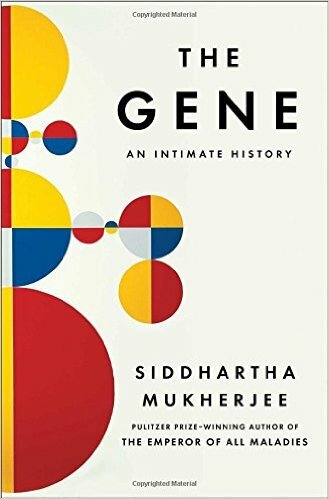 Siddhartha Mukherjee sustains lively interest and a respect for intelligent readers through the 600 pages of his book titled, The Gene: An Intimate History. He makes this a personal story for us by connecting readers to his family and helping us care deeply about heredity. He opens the book with a personal story, and injects others just often enough throughout the text. Mukherjee presents both complicated science with key moral questions for our consideration. If there’s only one science book you’ll read this year, consider this one as an ideal choice. Rating: Five-star (I love it) Click here to purchase The Gene from amazon.com. Finale. 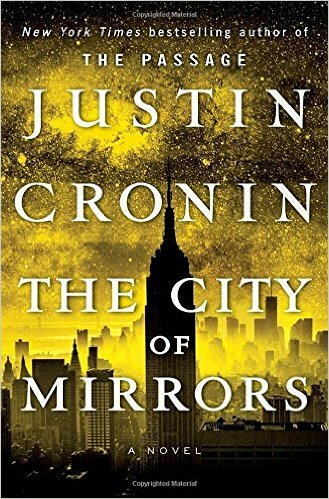 I plowed through the final book of The Passage trilogy by Justin Cronin titled, The City of Mirrors, within a few days of its release. Cronin brought the story to a very satisfying finale, both bringing forward the plot for a large group of familiar characters, and introducing some new and interesting characters. An added bonus is what amounts to a novel within the novel, about two hundred pages of the Fanning back story. That tidbit became critical in bringing the finale to its conclusion. Readers who like a big sprawling story for summer reading will enjoy this novel and this series. Rating: Four-star (I like it) Click here to purchase The City of Mirrors from amazon.com.